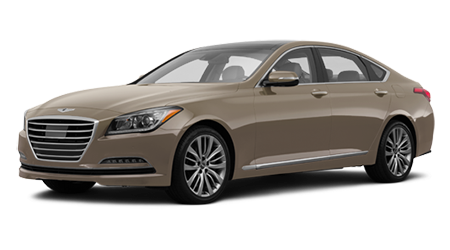 Genesis is a sporty and stylish sedan with a hefty twist of excellence. It also comes as a coupe. The price tag of the Genesis is just perfect and amazing but getting a used model makes it an even better accomplishment to your pocket. If you live in the Grants Pass, Klamath Falls or Medford Metro Areas of OR, please stop by our Butler Hyundai dealership and check out the used Genesis models that are available. You'll fall in love with the Genesis during the first test drive. All the features it comes with are breathtaking and the price of the used models makes things even more appealing. Whether you end up picking the four door sedan or the two door coupe, your choice will still be amazing since their are both great cars with outstanding values. Picking the used model of any car and saving a ton of money on it is always a good idea for all. We live in tough economic times where saving money is important and very hard to do. Give us a chance to grant you that wish and put you in a great ride at an affordable price. Saving money doesn't stop when you purchase the car from us. We also offer great deals on the service of your car when need be. Butler Hyundai of Medford, OR is able to finance your used Hyundai Genesis. Give us a chance and we'll prove to you that you'll be able to drive away in the most stylish car with the most affordable payment. Your satisfaction is our goal and we seem to accomplish it every time whether selling new or used cars. Come in and check out the available selection of used Genesis models and our expert team of sales staff will gladly help you pick out the best ride suitable for your needs.